What To Know About Affirmative Action As The Harvard Trial Begins The trial in Boston will dissect a contentious political issue in higher education: affirmative action. Does Harvard University discriminate against Asian-Americans in its admissions process? That's the question on trial in a Boston federal courtroom this week. At issue is whether Harvard unfairly discriminated against an Asian-American applicant who says the Ivy League school held him to higher standards than applicants of other races. This trial will also dissect a contentious political issue in higher education: affirmative action. But what exactly is affirmative action, and how did it become such a controversial issue? Today in U.S. higher education, affirmative action refers to policies that give students from underrepresented racial groups an advantage in the college admissions process, said Mark Naison, an African-American studies professor who teaches about affirmative action at Fordham University. But that wasn't the original definition when it was introduced by President John Kennedy in the 1960s. As the Harvard trial begins, here's what you need to know about affirmative action's history and how it's used today in elite college admissions. How did affirmative action begin? The concept was first introduced by President Kennedy in a 1961 executive order. He hoped it would increase the amount of people from historically underrepresented groups (like African-Americans at the time) employed by government contractors. But the public didn't pay much attention to his order, Naison said. That changed later in the 1960s, when race riots shook cities across the country, including Washington, D.C., Chicago and Baltimore. Presidents at elite colleges later decided to tweak Kennedy's definition of affirmative action to include goals, quotas and racial preferences for black students in college admissions, Naison said. Affirmative action turned into a "results-driven" effort to integrate American colleges and end race rioting, he said. "These institutions decided that they had better recruit the next generation of black leaders in America, or the country wasn't going to work," Naison said. Has affirmative action in higher education been challenged in the courts before? One significant court challenge to affirmative action in higher education was in the 1970s, when a man claimed he was rejected by the medical school at the University of California, Davis because he was white. The school reserved spots in each class for minorities, and 35-year-old Allan Bakke's credentials — his college GPA and test scores — were higher than any of the minority students admitted both years he applied. The Supreme Court ruled that colleges could consider race as one of many factors in an admissions decision, but they couldn't set quotas for racial groups. Justice Lewis Powell played a central role in the case. He said affirmative action wasn't a way to remedy past discrimination. Instead, he said the justification for affirmative action was the educational value of having a diverse student body. "I think that was a very, very important turning point in how we've come to think about such policies used by highly-selective institutions and frame the thinking around affirmative action," said Mitchell Chang, a University of California, Los Angeles professor who studies diversity initiatives in higher education. Then came two cases that challenged affirmative action at the University of Michigan. The Supreme Court upheld their law school's affirmative action policies, but ruled that the school's undergraduate admissions officers couldn't use racial bonuses, like 20 points for blacks, Hispanics and Native Americans on an admissions rating scale, NPR's Nina Totenberg reported in 2003. That brings us to Fisher v. University of Texas, the Supreme Court's most-recent ruling on affirmative action. (Students for Fair Admissions, the group challenging Harvard's use of affirmative action in Boston this week, also backed Fisher, a white female, in this lawsuit.) The court ruled on Fisher's case in 2016, saying that schools must prove their race-conscious admissions strategy is the only way to achieve diversity. The strategy must also be specifically designed to reach a goal. Which schools consider race in admissions? Mostly elite (selective) schools. 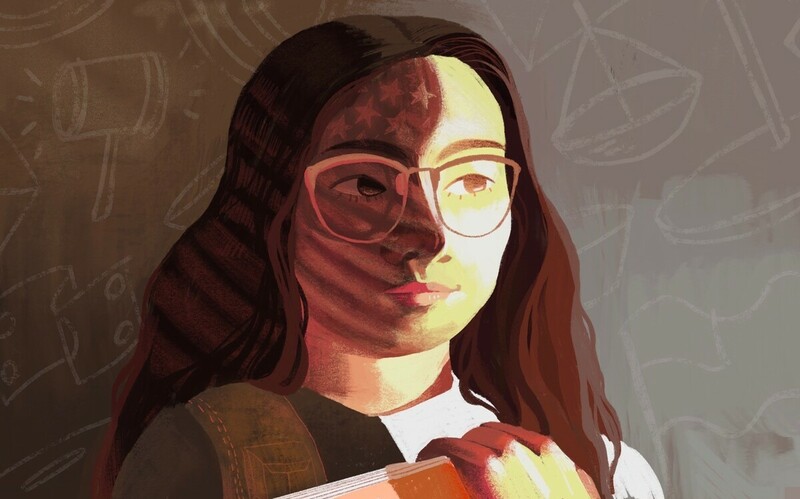 The American Council on Education surveyed 338 nonprofit four-year institutions and found 60 percent of the most selective institutions, which are those admitting 40 percent or fewer applicants, consider race in admissions. As the law stands, colleges can consider race in admissions if it is one of many factors considered when evaluating a student for admission, said Curt Levey, a lawyer who argued against the University of Michigan in its affirmative action cases. But schools must first use race-neutral options, like grades and test scores, to meet their diversity goals, said Mike Reilly, executive director of the American Association of Collegiate Registrars and Admissions Officers. (His organization is backing Harvard in the Boston trial.) If that doesn't work, they can then add race as a factor in admissions decisions, Reilly said. "It's making sure that their student body represents a broad range of characteristics, and not simply ranking students based on their test scores and their grades from high school," Reilly said. "If that were the case, we wouldn't have an admissions profession, we'd just have a spreadsheet."